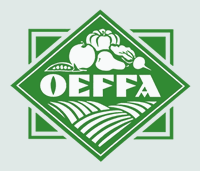 What: Senator Sherrod Brown (D-OH) will provide remarks and receive the OEFFA Food and Farm Champion Award from the Ohio Ecological Food and Farm Association, as part of OEFFA’s 39th annual conference, A Taste for Change. The award will recognize Senator Brown’s commitment to sustainable agriculture and his leadership in making positive investments in local food systems, community economic development, and public health. When: Friday, February 16—3:45 p.m. If you would like to attend to see the award presentation and remarks, please contact lauren@oeffa.org by February 9 to request a press pass. Please include your name, outlet, title, address, county, phone number, and when you’d like to attend. The three-day event, running February 15-February 17, is Ohio’s largest sustainable food and farm conference, drawing more than 1,200 attendees from around the country each year. It features nearly 80 90-minute workshops, four full-day intensive Food and Farm School classes, keynote speakers Jeff Moyer and Stacy Malkan, a three-day trade show, local meals, children’s activities, and more. For more information, go to www.oeffa.org/conference2018. Who: Senator Brown will provide remarks and receive the OEFFA Food and Farm Champion Award. He serves on the Senate Agriculture, Nutrition, and Forestry Committee, where he has been instrumental in strengthening the farm safety net and addressing childhood hunger, and has introduced the Local Food and Regional Market Supply (FARMS) Act (HR 3941).